My mother was at our house the other day playing with my son, who was squashing every imaginative contribution Grandma made to the story they were acting out with the Twins’ new Bubble Guppies playset (which–by the way–she had just brought over for their birthday). Quite frankly, he was being kind of a punk. My Mom: Who made you the boss? My Son: I’m not. I’m just acting like Mommy. My son may be bossy, but he knows where he stands. 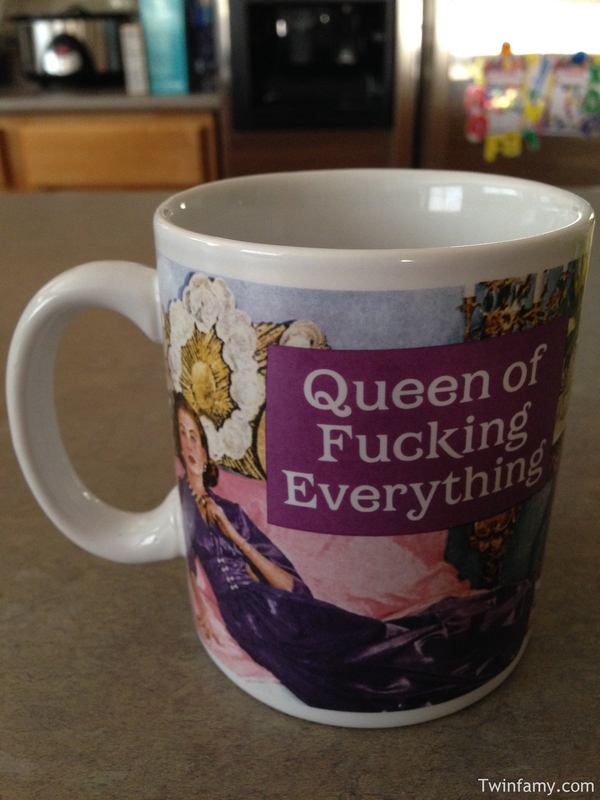 I realize I have some readers who are afraid of the F-word (Hi Mom! ), so I have gallantly protected them from this abomination. Those who know how to party and/or have parental permission can click the image for the raw, uncensored version. The warm water ran down my back, washing away 36 hours of sweat and grime. I systematically defunkified each of my body’s nether regions with my extremely manly loofah and inhaled the warm, misty scent of my 2-in-1 shampoo. As a parent of twins, I’ve grown to truly appreciate the quiet, reflective alone time a shower buys me, and twelve days into being a parent of three, I was absolutely loving the opportunity to finally hear myself think for five freaking seconds. As you can probably imagine, adding a newborn to the mix has turned the Pseudonymous household into even more of a zoo than it already was. My wife and I settled on fielding the incessant requests for Lego-building assistance and “another snack after diss one” from the Twins as our “new normal” about a year ago, but we’ve added some new floors to our funhouse with Baby Number Three. On top of our typical twinherding duties, my wife (who is also monumentally wiped out from breastfeeding) and I now also spend our days attempting to get our new addition on a suitable feeding/sleeping/not crying schedule–all the while shushing the Twins like two shaven Grinches as they excitedly play with their noisy new Christmas toys two inches from their slumbering sister. Our meals consist of shoving granola bars and fast food into our faces the moment the opportunity arises, and while we fully intend to shower daily, it doesn’t always pan out. My family’s kajillionth listen of Idina Menzel’s “Let It Go” was suddenly interrupted by the ringing of my cell phone on the car’s Bluetooth. This did not faze the Twins, who just kept on singing, reminding their audience that the cold never bothered them anyway. My wife and I had just picked them up from school, and like most school days, they’d gotten a fresh jolt of energy during the drive home, proceeding to uncontrollably kick the front seats and belt out lyrics with absolutely no regard for the melody or their mother’s migraine. It was super cute the first 500 times. As you may remember, for most of the time I’ve spent on campus to do my doctoral work, my mother has very graciously taken care of the Dynamic Duo. However, due to some other important family commitments (which are beyond the scope of this Twincident), she’s been in and out of town, prompting us to seek other (tragically not-for-free) care options for the kids. The transition hasn’t always been easy, with several month-long plagues of sickness throwing off any weekly routine we hoped to establish, sometimes resulting in tearful toddlers at the morning drop-off, but lately, we’ve finally, finally, FINALLY found a groove. And so whether she’s here in town, hunting Chupacabras in the Mexican wilderness, or scaling Mt. Everest to destroy the Eighth Horcrux, my mom calls us nearly every school day on our way home to see how the Twins’ day was, partly because she really and truly wants them to do well and partly (I’m guessing) because she misses them and wishes she could see them more often. 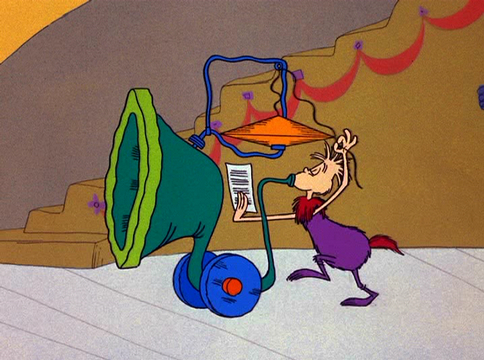 But when I answered the phone, I found that it wasn’t my mom after all. “Hi, I’m looking for John?” said an unfamiliar female voice, cranked to 11 on the car stereo while the kids were still screaming Frozen lyrics. “You don’t have an Easter bonnet for her?” my mother gasped. My wife had just unveiled the dress she’d bought our daughter to wear for Easter, but apparently it was an incomplete ensemble. “Um, no?” my wife replied, confused. With all that my wife and I have going on (and the knowledge that no hat stays on my daughter’s head for longer than five minutes anyway), our feeling was, Sure, if it will make your heart sing to get her a bonnet, knock yourself out. Sure enough, a day or two later, when we were picking up the kids from her house, my mother presented us with a pinkish-purple bonnet she boasted to have found at our local “everything-costs-one-dollar” store, a place she now swears by as THE place to find fun toys, stickers, and holiday favors for the Twins without breaking the bank. We had to admit, the bonnet was pretty darn adorable, so it was settled–our daughter now had an Easter bonnet and my mother would finally be able to sleep at night again. I’m fairly confident I will look back on this semester as The Semester That Shall Not Be Named, and my reasons for this are statistically based. And that is because, against my better judgment, I enrolled in two statistics classes. At the same freaking time. Although, yes, it was ultimately my decision to plague myself with such nerdery, I was not left with a whole lot of options. You see, certain classes I need to take are only offered during certain semesters, and because I’m hoping to finish all of my classes in the Spring (before taking the dissertation plunge), I needed to be economical with my schedule. However, once I’d plotted everything out accordingly, my eyes were drawn to this semester, where a Dark Mark had materialized above my yellow legal pad. Sadly, the optimal schedule meant a double dose of stats, meaning that fun would be SO out this Fall. While–if I say so myself–I can hold my own in the subject, I find it incredibly boring and tedious. The time required to understand it and perform well on tests is way more than I’d like it to be. As you may have gathered, I’m a word guy, so if I have to do school work, I’d much rather spend my time reading interesting research or writing papers for publication, NOT verbally abusing uncooperative math problems. I’ve since devised lifehacks allowing me to defy this nocturnal avian jazz musician’s First Law of Multi-Tasking, deftly blowing the perpetual 12-bar solo that is being a husband, dad, and student while still keeping a firm grip on the duckie that is this fine publication. However, during the month of July, the song’s tempo sped to a breakneck punk rock moshpit pace, and as I attempted to keep up with the chord changes, the poor little duckie came flying out of my hand. Since I know you hang on my every Twincident, O Loyal Reader, I’m sure you noticed things have been considerably quiet ’round these parts. 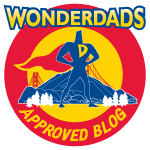 I’ve always told myself I’d never let writing about being a dad get in the way of actually being a dad, and the past few weeks found me in that very position. While writing is a deep passion of mine, I can’t let it jeopardize my sax life. I had to huck the duck. Looking up from dinner’s dirty dishes in the sink, I watched my wife release my daughter from the clutches of her high chair, pick her up, and bravely walk our kitchen’s version of The Green Mile–past an old bookshelf we’ve converted into a snack shelf (Pantry 2: This Time It’s Personal, if you will). Although our children claim to be “duh” with their food, as soon as we de-high-chair them they often notice Pantry 2 items that were not on that meal’s menu–morsels they must receive promptly if the parent on duty wishes to avoid a brilliantly-executed tantrum. While they’ve learned many words so far, there are still a sizable amount of items for which the Twins still use the caveman-style point-and-grunt method, and on this particular day, my daughter’s finger shot out instantly at her target. 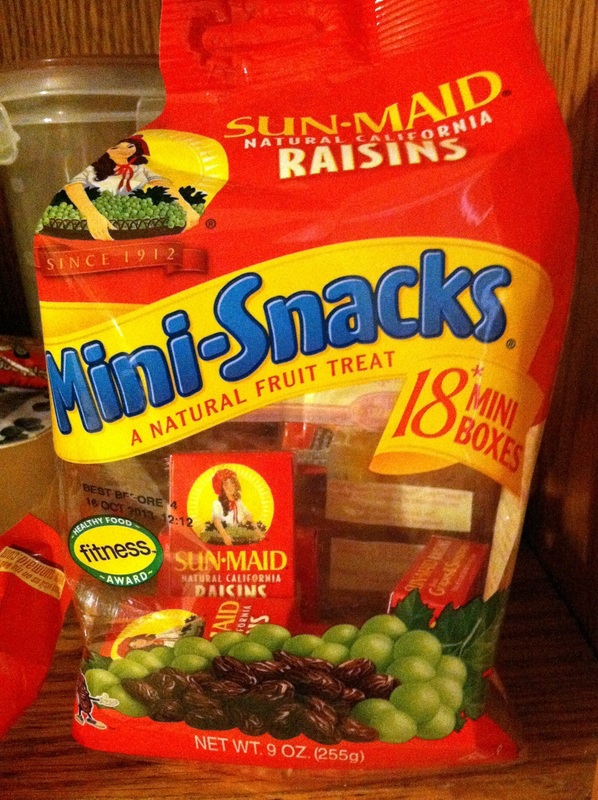 Unfortunately for my wife, she did not leave enough distance between my daughter’s ninja arm and the shelf, and before we knew it, our daughter had snatched the entire bag of miniature Sun-Maid Raisin boxes. Looks like we’re running a little low. “Ooooh! OohOohOooooooh!” my daughter enthused, waiting for my wife to open her a box. Have every new Twinfamy post delivered directly to your email--you don't even need an epidural! Enter your email address below. Twinfamy is written before a live studio audience...of two. All writing and some images (where explicitly noted) © 2011-2017 Twinfamy. All rights, and even lefts, reserved. 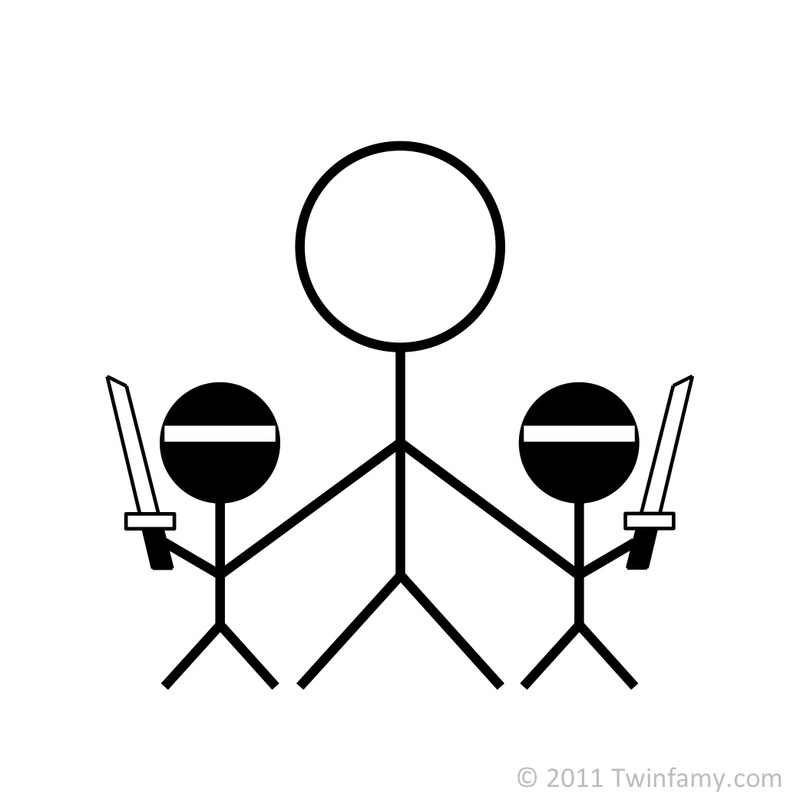 I should also probably tell you that the twins are already in ninjutsu training, and so any violation of this copyright may or may not result in decapitation.